Develop a strong, striking brand for a new, start-up timberlands sales and consulting company. Considering the affluent nature of the target audiences, HLA used the client’s last name and a castle rampart to establish the company branding. The brand was then used to develop marketing collateral, and a responsive website with a built-in content management system (CMS) for the client to easily update on their own. 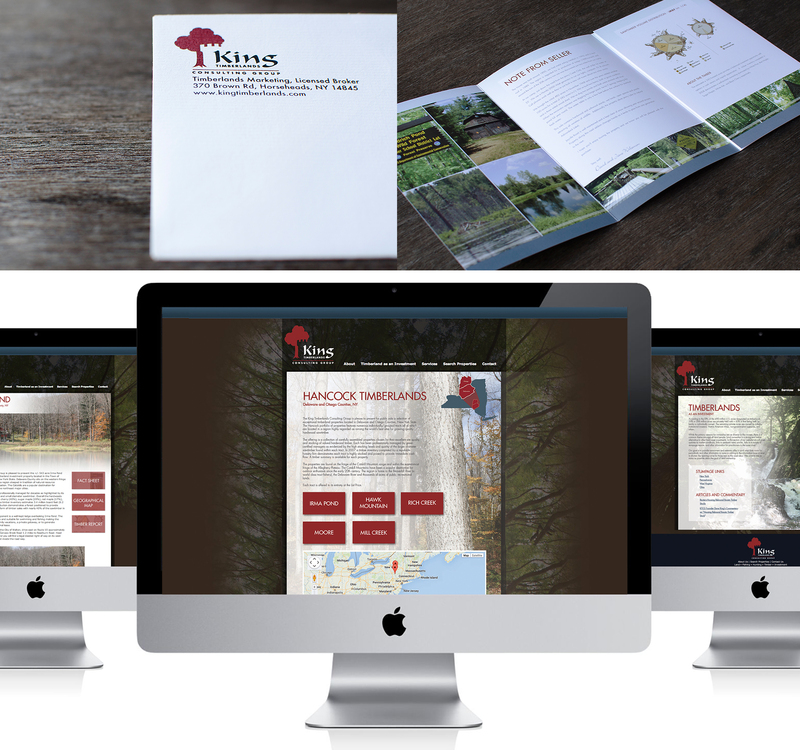 King Timberlands is successfully selling large parcels of property due in part to the strong branding and marketing collateral HLA designed and produced.